May 17, 2018, 7:30 a.m. to 9:00 a.m. In this age of President Trump's new trade policy, what could be more timely then a discussion of international trade and currency manipulation? "A currency war, fought by one country through competitive devaluations of its currency against others, is one of the most destructive and feared out comes in international economics. It revives the ghosts of the Great Depression, when nations engaged in beggar-thy-neighbor devaluations and imposed tariffs that collapsed world trade". This quote is the beginning of James Ricard's chapter III of Currency Wars, which sets the tone for his gloomy forecast of the global crisis ahead. The book was published in 2012 and while he has a more recently published book, The Road to Ruin, with a similar theme, I chose this book because it has a deeper discussion of currency analysis and the currency wars, 1921-1936 (chapter IV), 1967-1987 (chapter V) and 2011 to 2012 (chapter VI). A fuller study of this topic would bring us back to antiquity and earlier but the session is only one and one half hours, so this period is more than adequate to understand potential trade wars in the current future. A critical way of studying trade relations is to examine the interaction of trade and its effect on currencies and vice versa. Devaluation is a direct government policy, but just a evaluation is a direct government policy, but just as important is an indirect government and private sector policy of appreciating and depreciating currencies as countries manipulate the price of their products and services through tariffs and sanctions. The term 'free trade' is often based solely on the 18th century British economist David Ricardo's theory of comparative advantage. It is important to understand that building a case for free trade based on the theory of comparative advantage can be misleading because simply making an import export trade policy based on differing prices of goods or services between counties without knowing if those prices were derived fairly and without knowing the distributive effects on companies and their employees, may be quite unjust. Rickard has strong opinions on the advantages and disadvantages of globalization (pp. 146-149) and 'state capitalism' (pp. 149-151). State capitalism, he claims, is the modern term for the old term 'mercantilism" (pp. 149-151). He calls Dubai the modern equivalent of Humphrey Bogart and Ingrid Bergman's Casablanca, where "enemies can mingle” (p. 152) comments on Russia aim is to dethrone the dollar" (p. 158) and claims that Beijing is "sitting on a powder keg" of problems (pp. 159-163). If this is not enough to whet your appetite for the book, I promise that you will acquire knowledge of new economic theories of fragility, complexity and chaos theory, externalities and distributive justice analysis. If still alive, these new economic theories might bring shivers to the famous monetarist Milton Friedman (pp. 177-183) and the Keynesian Paul Samuelson (PP. 183-188), although in my opinion, these old timers probably would agree with much of this new theory. You be the judge. Rickard's gloomy forecast (you may not agree) can be summarized by his statement that "The path of the dollar is unsustainable and therefore the dollar will not be sustained” (p. 255). The book is filled with tons of international economics and finance theory, far too big for one session, but I believe you will discover that Rickard's lively writing style allows you to dip into topics of interest if time does not allow for a thorough reading. Armed with the information in this book, you will be well equipped to judge our President's current foreign trade policies and the policies of our trade partners. In analyzing the impact of a policy change, Econ 101 teaches ceteris paribus (the change of an independent variable on a dependent variable ---like a tariff on economic growth---is not effected by all other variables). Well, this is a great qualifier for text books, but fails miserably in the real world. Other variables never stay the same, A change of one variable results in changes in all the other variables, sometimes substantially and other times minimally. So when one nation imposes any of the 4 barriers to trade, tariffs, quotas, sanctions and embargos ---TQSE---(an additional cost to consumers and producers) the players in an economy, consumers, private business investors people and governments (C, I and G) are all effected and must respond accordingly. Give examples from the news as to how the players are effected by the foursome? TQSE effects the currencies of trading countries. Learn how these policies appreciate or depreciate currencies and how if effects buying and selling (see relevant chapters in Currency Wars). Learn that devaluation and depreciation occur for different reasons, but their effects may be similar. 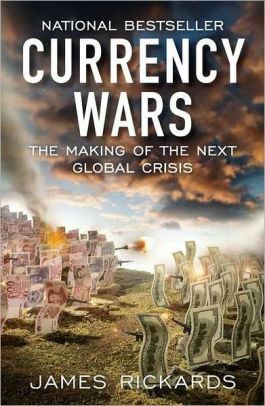 Do you personally favor a fixed or floating exchange rate (see the history chapters and the chapters covering Keynesian and monetarist theories on fixed and floating exchange rates in the assigned book Currency Wars). Prices for consumers and producers in aggregate, unless consumers or producers have monopoly control, are set at lower prices than would normally be the case for individuals by themselves. Economists call this consumer and producer surplus which provide unintended social welfare benefits (Adam Smith was correct again). Learn how TQSE can reduce social welfare. A trade deficit is a consequence of a prior event, not the event itself. Learn why developing a trade policy only on trade deficits can be a very misleading and naïve foreign trade policy strategy. Interaction between consumers and producers called exchange, like interaction between all human beings is a negotiating experience (supply and demand). Years ago the buzz word to describe this interaction was called game theory, which still applies, but today we supplement this decision making process with the discipline called behavioral psychology or, in the case of economics , behavioral finance .Learn how game theory and behavioral finance are used in trade wars.